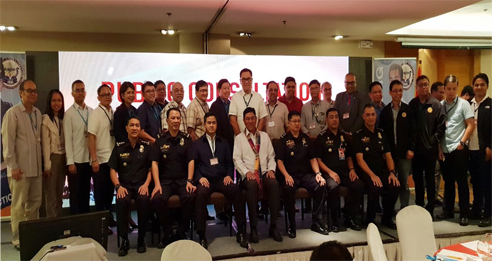 SPIK attended the recently concluded public consultation on the Proposed Revision of the Implementing Rules and Regulations of R.A. 9514: The Fire Code of the Philippines organized by the Bureau of Fire Protection (BFP) held on November 19, 2018 at the Crowne Plaza Manila. Quezon City. The public consultation aims to discuss the salient features and solicit comments or suggestions relative to the proposed revision of the Implementing Rules and Regulations (IRR) of R.A 9514, otherwise known as the Fire Code of the Philippines of 2008. It was attended by safety practitioners, firefighting equipment designers and planners, regulators, academe and industry stakeholders and was requested to submit other comments and suggestions following the public consultation.